Join the Streeterville Young Professionals for a very special Young Professionals Networking Night…on a Friday! 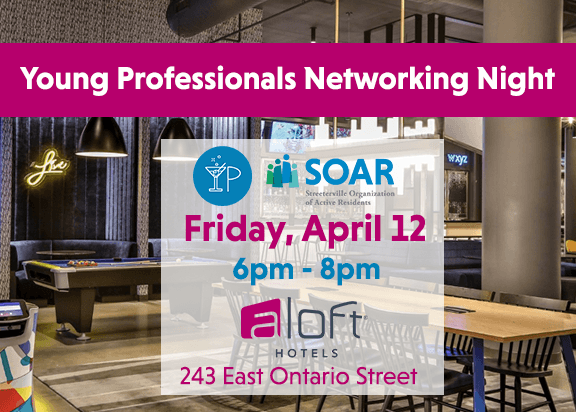 Friday, April 12 from 6pm to 8pm, join us for an evening of drinks, live music, and community at Aloft Mag Mile. Set near the famous Magnificent Mile, the hotel helps travelers “color outside of the lines” and discover the best of the city. 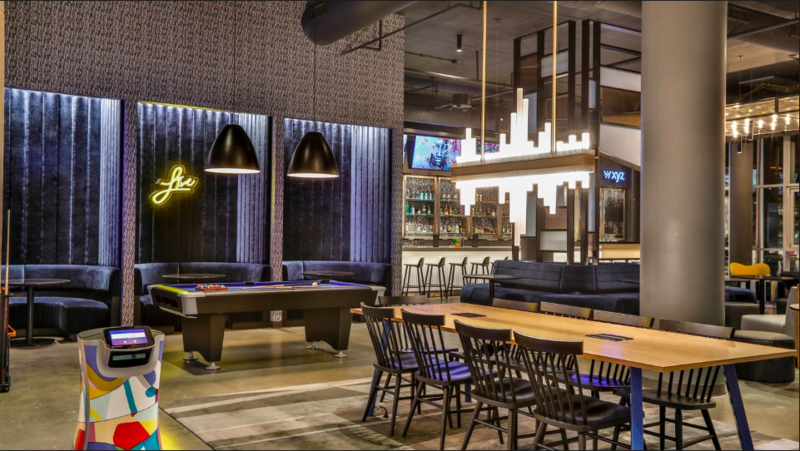 For locals, their first floor is a spacious, modern and includes their WXYZ bar and ample lounge seating. And this month, enjoy an extra Happy Hour of complimentary drinks from 6pm to 7pm courtesy of Aloft! Complimentary drinks include select wine, drafts, and well drinks. Live music starts at 7pm. So grab a friend, enjoy a complimentary drink, and be a part of the community! No charge for admission, attendees pay their own way for drinks after Happy Hour & food. About Aloft Mag Mile:Built on the former site of the city’s Contemporary Museum of Art, Aloft Chicago Mag Mile embraces a bold new philosophy, light-years from the traditional hotel concept. Order an artisanal cocktail as you mix and mingle at WXYZ Bar, a popular hangout for hotel guests and Chicago locals alike. Here, we encourage you to color outside the lines and march to your own beat – and our contemporary amenities and prime downtown location facilitate discovery.